We love to ask for things in Jesus name, even believing we will receive them however, sometimes the answer is no. Learn to Praise God for the NO’s in your life. No is truly an anointed word. God knows what’s best for us and he looks at our hearts to search the true motive. Think on the last thing you asked God for. Was it a selfish request? I am not suggesting that God WON’T answer you; he can do what he wants. 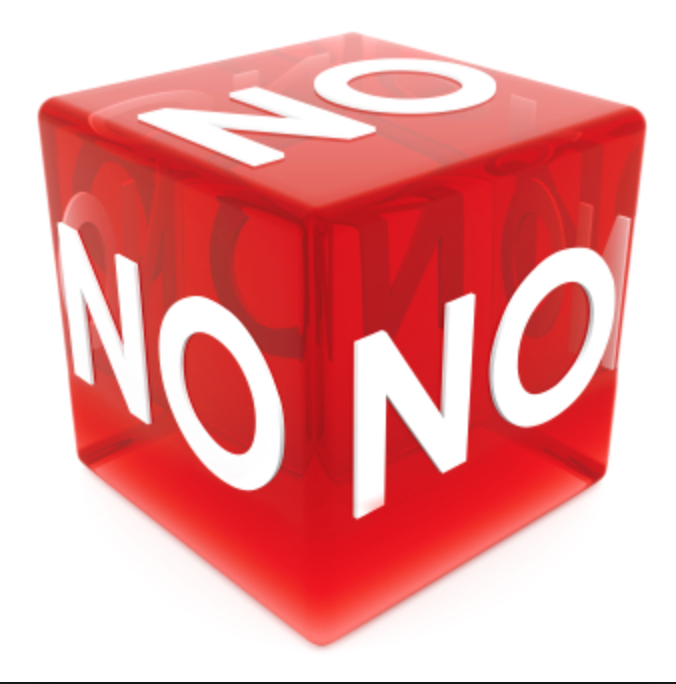 I am suggesting that you re-evaluate those hard NO’s. I remember a time in my life I was begging God to allow a failing relationship to continue. I cried many tears over someone who had dry eyes concerning me. God said NO. I was devastated, heartbroken, bruised, tearful, you name it. The bible says every good and perfect gift comes from God and he will withhold no good thing from us- so, if it is for me to have, I can have it. I want God to keep stepping in realizing I have no idea what’s actually good for me. I now understand the love of a resounding NO.